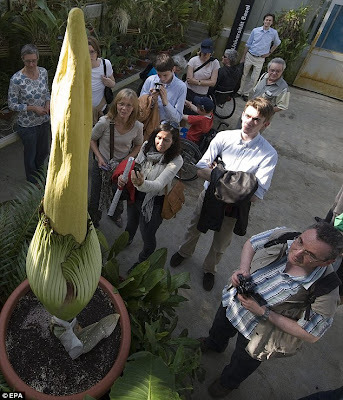 Maximizing Progress: Amorphophallus ~ Titan Arum "Corpse Flower"! The DailyMail delivers again in the piece What a stinker! 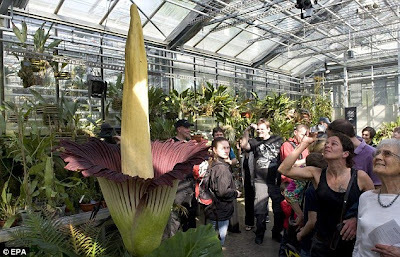 World's smelliest flower opens for the first time in a DECADE, this time showing graphic evidence of the Amorphophallus "Corpse Flower" Titan Arum busting forth on Good Friday at the University of Basel, Switzerland. It's expected to remain open until Easter Sunday!